We’re proud of our Graduate Recruitment Scheme that sees us recruit a number of graduates across our 3 offices every year. Applications for graduates to start September 2018 will open towards the end of 2017 – keep an eye on our website for details. Claire Young joined the Civic Engineers London team as a graduate in September 2016. Here she shares her experience of what it’s like to be a Graduate Engineer within the company. I joined Civic Engineers as a Graduate Engineer from the University of Southampton in September 2016. At university, I completed a very diverse course that covered many areas of civil, structural and environmental engineering. I have a strong passion for combining good structural design with an understanding of environmental issues to create vibrant, safe and welcoming places to live, work and play. From day one at Civic Engineers, I started working on a variety of projects and even went to site for a new project on my second day (talk about “in at the deep end”). 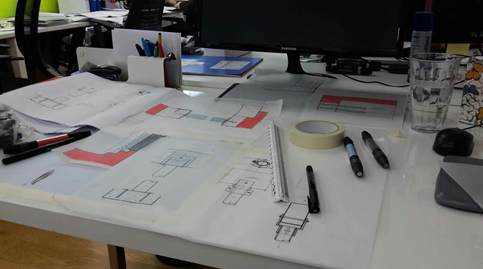 The London office is a friendly and lively place to work where someone is always on hand to share their skills and experience if you need it, and hand-sketching is greatly encouraged as a way to convey information and ideas. Personally, I have done a lot of work on existing structures; modifying them, supporting them and gaining a better understanding of historic construction methods. When I visit sites, it can often feel like I’m a detective trying to understand how the structure was originally constructed. 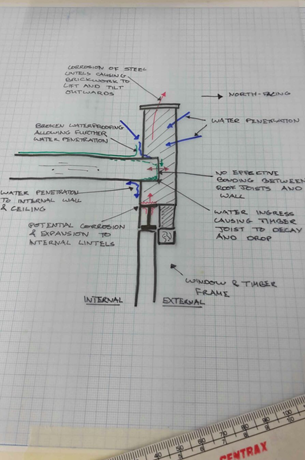 It is very satisfying to watch the project’s drawings grow in detail and scope as the project progresses. 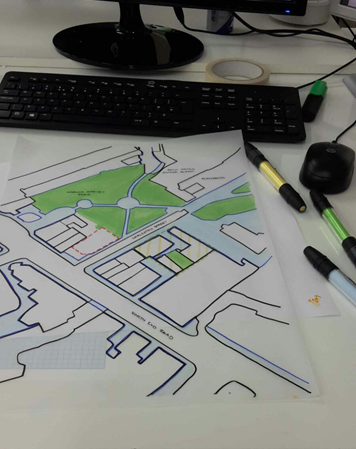 In other areas, I have conducted Flood Risk Assessments for planning applications and looked at possible drainage strategies using SUDS and other methods. The company is keen for their employees to continuously grow as professionals and frequent “Lunch and Learn” events are held on Tuesdays to support CPD (continued professional developments). Here in the London office we have also started Pizza & Debate Thursdays, where we chat about current topics over lunch. I’ve thoroughly enjoyed my time at Civic so far and look forward to the challenges that lie ahead as I get involved in more complex projects and work towards my Chartership.